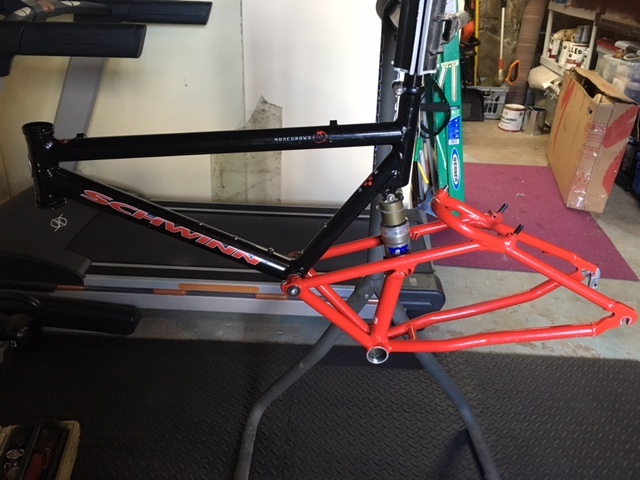 I don’t care what color it is or even if it needs paint but I need a complete frame set including any connecting hardware for the rear tirangle. 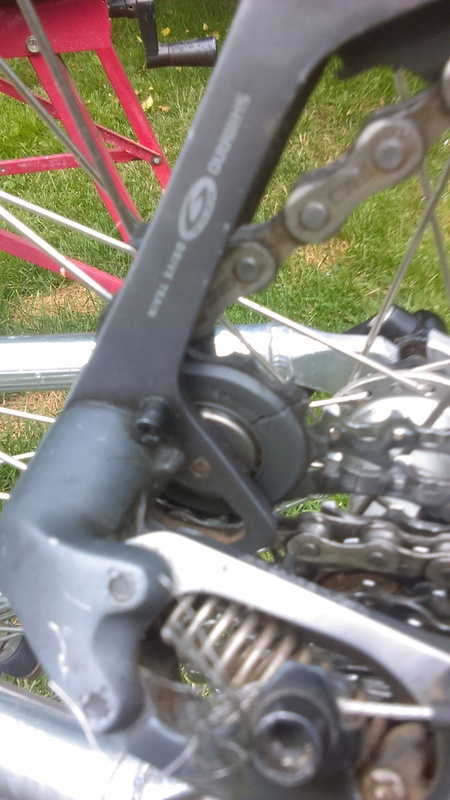 Ideally I’d like it to have the disk brake mount and a working shock, but neither are deal breakers. I’ll of course take a complete bike and I think I can make a 19” work. Any leads appreciated. I have my Ebay searches going. I have a 19” that I have been thinking of letting go. 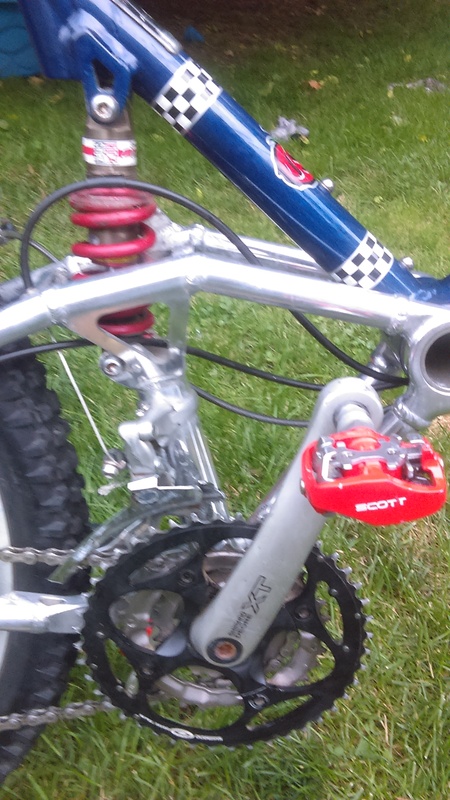 It doesn’t have a rear disk mount and the rear shock is a Rock Shox Coupe Deluxe I believe. You looking for a 17? I’ve been leaning toward a 17, but that might work. I’m a little over 5’ 10” with a 32” inseam. Anybody have any input on sizing? I’m thinking that one might work for you. 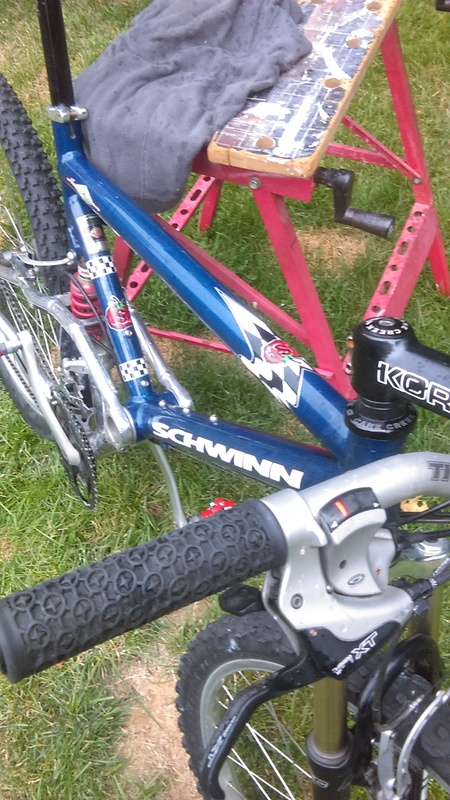 His bike looks clean and has a SID fork which is a plus. They are very lightweight and very easy to service. This bike feels small and fast, at 5’10’ it should fit you fine. It looks tiny next to my 29er. It’s a 99 w/ a 98 rear shock. 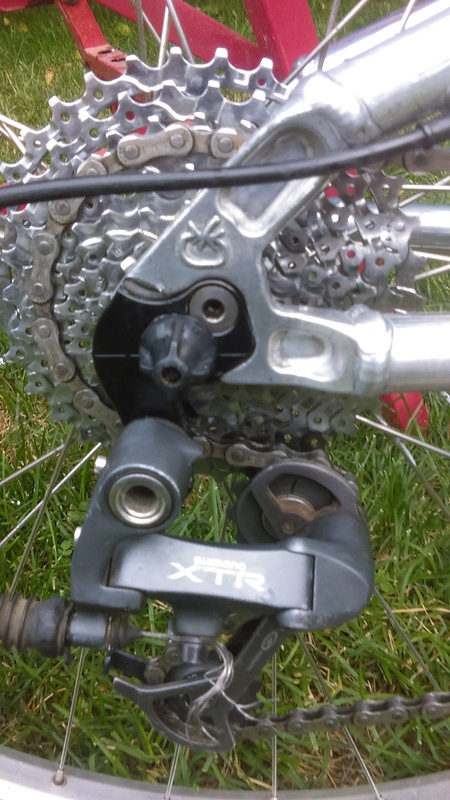 All XT 9 speed, XTR rear derailleur, and LX hubs w Sun Ryno Lite rims. Wheels have maybe 40-50 miles on them. I have had the bike since new. PM reply sent. BTW, I’m 6’2” so you might have to cut an inch or two off that Thompson seatpost. The only damage is to the seat when I went over backwards on concrete. I can post a photo of it, hopefully i can make it a little smaller lol. So I cleaned it up today and I noticed a couple of things. 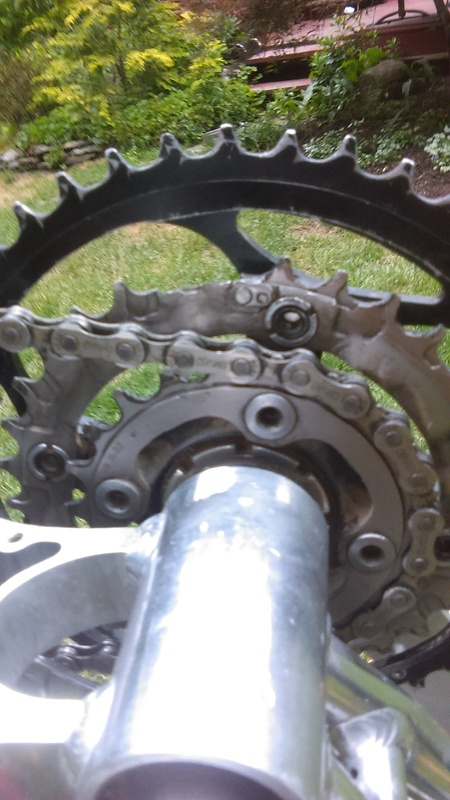 There are a couple of teeth broken off the middle chainring in the front and one of the chainwheels on the rear derailleur is cracked. I have some photos of that . Also I thought of more differences between the HG and the S series. 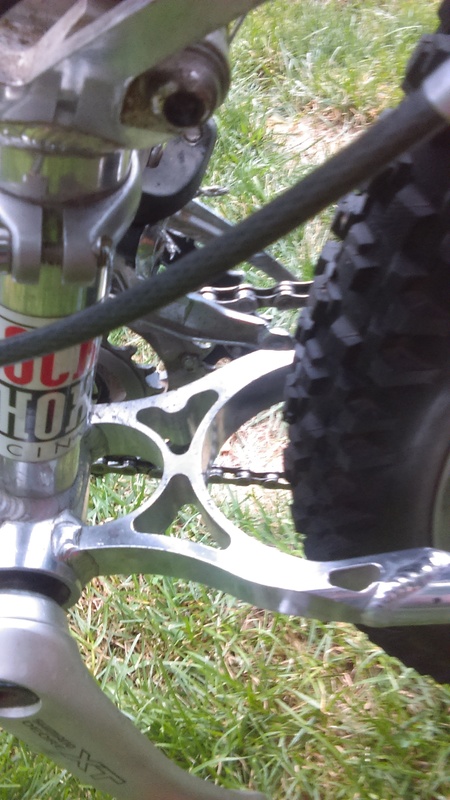 The chainstays near the bottom bracket and the dropouts are machined on the HG and not on the S-20. The paint is really nice, minor scratches but thats it. Awesome! Glad it worked out. Here’s a pic of the frame, small pivot! Got it from a member here, just stripped it down and it’s heading in Monday for paint and cleanup. 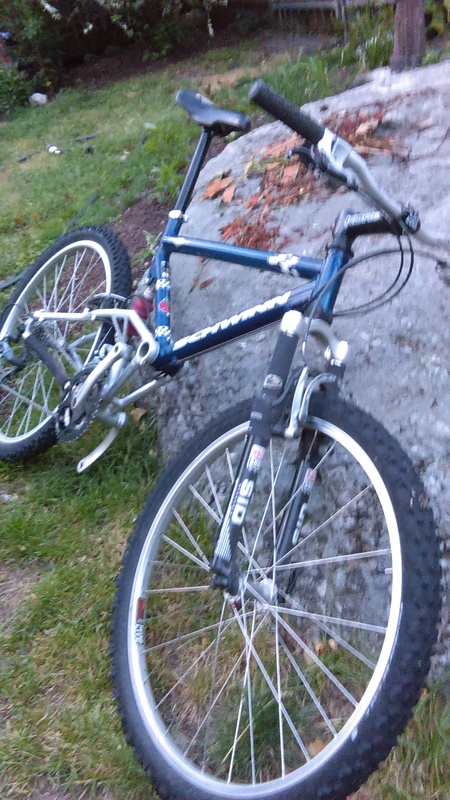 Other than some minor chainsuck damage it’s in remarkible condition for a 21 year old mountain bike. I’ll start a thread in general for progress on the project. Can’t wait to ride it. You’re going to repaint? Or polish it up? Looks to be in great shape. Or do you just want another color? It’s pretty chipped up, but I know I can’t duplicate the decals so polishing it has some appeal. I’d need to touch up the paint at the very least. Anybody have paint codes or know what the modern equivalent is? You’re gonna laugh, but I took different frames I had into the store and matched finger nail polish for small chips. I’ve also used automotive touch up paint and brought the frame in to compare. Fine sand after the touch up to level the paint, polish it with Meguiars Scratch X 2.0 wipe with isopropyl alcohol then tape and clear coat. I’ve used a hole punch in painter’s tape for real small spots. Remove the tape immediately after spraying to minimize the edge then wait for it to dry and use meguiar’s Scratch X 2.0 clear coat polish to polish away the paint/clear edge from the surrounding paint. Then wax. Just take your time and don’t rush. 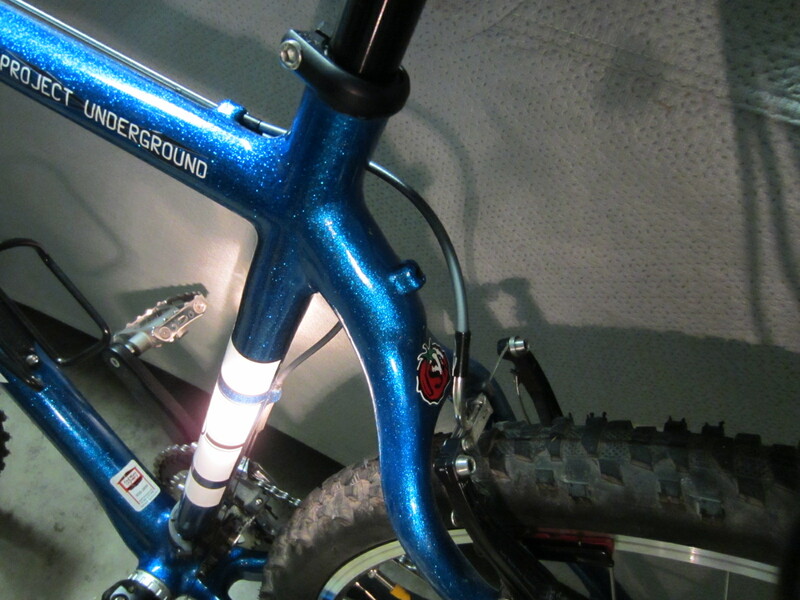 Here’s my Project Underground I did major touch up to the rer seat stays and bottom bracket. Everything from the seat post back on the seat stays was painted and clear coated.